In a way the 4-star-rating is not really accurate as I didn't 'really like' reading the book - I'd have much preferred not having had any specific reason to read this book in the first place, and some of the stuff included in the work was stuff that made me worry about the future health of a good friend. However although I didn't find all the stuff equally pleasant to read about, the book does have a lot of the kind of information you want, and it's a quite neat format - it's not a 600 page handbook which I might never have finished, but despite the relatively low page count it still has far more stuff than does e.g. an ordinary overview article about the disease. 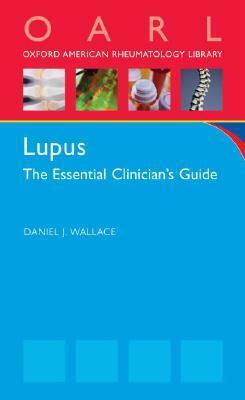 Well, very technical, images are graphic, but the information is useful and the glossary helps explain commonly used words in the "Lupus" world. There wasnt any new information... I didnt find anything new..